Idle Hands: MONDOCON Is Coming!! You love their prints. You've lost your mind over the pure awesome of their new collectibles. 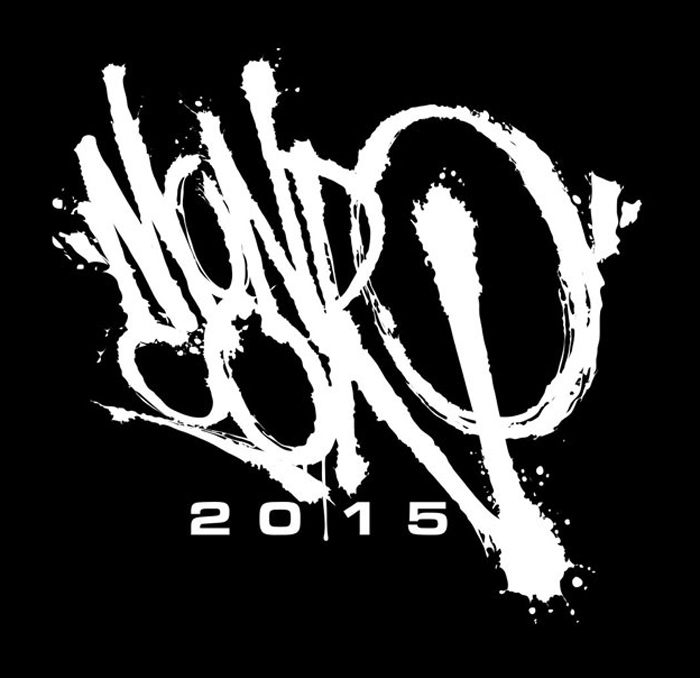 Now, you can celebrate all things Mondo at MONDOCON!! You've got 2 months to plan your attack, so get crackin. Mondo is excited to unveil the lineup of artists, panels and exhibitors for MondoCon 2015, taking place October 3rd - 4th at The Marchesa Hall and Theater in Austin, TX the weekend following Fantastic Fest. The convention brings together unique guests from a variety of areas to celebrate film, music, art, and toys with the world's finest artists, designers, toy creators, directors, composers and more. This year, the convention will be taking advantage of additional exhibitor & event space in the neighboring Holiday Inn Midtown Conference Center. Below, please find panel descriptions, a mind-blowing live score event, guests in attendance and a preview of Mondo items that will be at the convention including the Army of Darkness LP and a "Lil Mikey" collectible variant only available at MondoCon. Artwork available here. Mondo Creative Directors discuss the creative process behind Mondo's work, showing how the team works with artists to arrive at final images. The panel will include a presentation of alternate concepts and a look at some of the biggest releases of the year. Continuing in the tradition of this year's Audyssey pop-up shop, Mondo & Death Waltz Recording Co. are pleased to present the premiere destination for indie soundtrack labels to interact directly with their fans. We have returning favorites from last year as well as some amazing newcomers. We will be carrying selections of our favorite titles from our friends at Data Discs, Tiger Lab, Milan, Light In The Attic, One Way Static,Waxwork Records,Terrorvision Records,Lunaris Records, Monster Worship,Ship To Shore Records,Strange Disc and more! MondoCon welcomes back the legendary William Stout for a look into his incredible career, which includes design work on over 35 feature films - both Conan the Barbarian films, The Hitcher, Invaders From Mars, First Blood and Return of the Living Dead. This panel will include a myriad of artwork & illustrations from over the years and never-before-told stories about Stout's time in the industry. Record Label Manager Spencer Hickman & Production Manager Mo Shafeek discuss the creative process behind Mondo & Death Waltz's soundtrack releases. The panel will also include insight into the production process of Vinyl manufacturing for independent labels. Featuring special guest panelists from various other soundtrack labels, distribution and authorities of the medium, as well as announcements and artwork reveals of forthcoming soundtrack releases. Grindhouse in conjunction with Death Waltz Recording Company presents UMBERTO - Pieces Live Re-score. In 2012 Matt Hill (Umberto) was commissioned by the Glasgow Film Festival to re-score the 1982 splatter film PIECES and perform it live. The re-score was eventually released on vinyl and CD with the title The Night Has A Thousand Screams and has only ever been performed again at Beyond Fest in 2013... UNTIL NOW! To celebrate Grindhouse releasing PIECES on Blu-ray, we are stoked to bring Matt out to MondoCon to perform his re-score to PIECES for one final time. If you haven't seen the film, you're in for a treat. PIECES is one of the most outrageous and legendary of all the low budget 80's splatter films; it's over the top in every department, each scene more ridiculous than the last. To see it with a crowd is the best way to truly experience it. Every attendee at the screening will receive a FREE exclusive colorway of a new Umberto 7' due on the Death Waltz jukebox series featuring two brand new unreleased tracks. We'll also have copies of the Rock Action LP. Matt will be signing after the performance. When two friends attempt to discover who created their favorite childhood action figure, they end up uncovering a heated battle for credit that's lasted 30 years and is filled with more colorful characters than any toy store aisle. Filmmakers Roger Lay, Jr. and Corey Landis set out to document the origin of He-Man--the central character in a billion-dollar multi-media franchise--and along the way, they begin to realize that the truth may not be as simple as they'd hoped. Join them as they go from interview to interview of conflicting stories about how it all began--and try to figure out who's lying and who's telling the truth--in this fun, informative doc that plays like the 'King Of Kong' of the toy world. Sit in as Mark Brickey, host of the hit podcast Adventures in Design, interviews MondoCon artists and guests. Brickey will be taking over the second panel room for a full schedule of interviews throughout both days of the convention. Mondo will have several new items for sale at MondoCon including the Army Of Darkness Original Motion Picture Soundtrack on vinyl and a MondoCon exclusive variant of the "Lil Mikey" collectible figure. Artwork and images available here. Lil Mikey goes old school with the MondoCon exclusive variant of the Teenage Mutant Ninja Turtle figure based on artist Mike Mitchell's Just Like Us series. The Lil Mikey Red & Gray Variant harkens back to when the TMNT comics were Black & White and all of the turtles donned red masks. This version is limited to 100. And finally, part of what makes MondoCon special is the incredible food for attendees. This year the convention expands its offerings of Austin's best food trucks. More MondoCon announcements coming soon!